This chapter gives an overview of the research and development approach in the automotive industry. Therefore, Sect. 3.1 focuses on the automotive development process, specifically the complexity involved in developing a new vehicle model, an elaborate process involving thousands of engineering staff employed by the automaker and its Tier 1 suppliers. 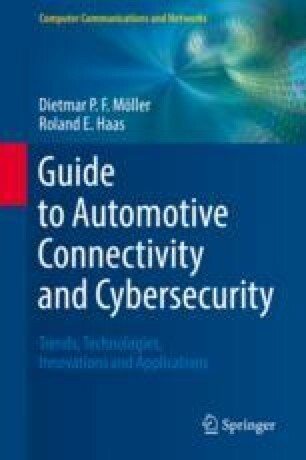 This section describes on proven processes and new technologies, such as the Stage-Gate® controlled development process, the digital mock-up process, requirements engineering with regard to automotive electrical/electronic (E/E) systems (see Chap. 4), and the diverse disciplines that enable new product creation processes which lead to constantly shrinking development times, better maturity, and overall product quality. The focus in Sect. 3.2 is on modularization and platforms used in the automotive industry which will allow to cope with an ever-increasing multibrand vehicle model line. In Sect. 3.3, virtual product creation is introduced which integrates the product data management concept to fully achieve the required computer-aided design (CAD)-based development pipeline as an integrated CAD format. Section 3.4 introduces the idea of product life cycle management, an approach that facilitates collaborative work processes for the various phases of the product or system life cycle represented by a number of phases and activities spread out across the automakers organization and its suppliers, each of which builds on the results of the preceding phase or activity. The sum of all these activities is called the product or system life cycle, which can be described using a model that contains the conceptualization phase, the utilization phase, the evolution phase, and the ultimate disposal phase. Section 3.5 contains a comprehensive set of questions on automotive research and development, while the final section includes references and suggestions for further reading.